Visa, the world’s largest payments network, has introduced a platform that will enable any bank to offer EMI facility to their debit cardholders for online purchases on most e-commerce sites. and South Asia, as against 4.5 crore credit cards, there are 93 crore debit cards in the country. “There are over 2 crore unique credit cardholders, while it is estimated that around 22 crore debit cardholders are eligible for credit facilities. This increases the number of creditworthy individuals by a factor of 10,” said Ronta. Although both banks and e-commerce sites have been offering EMI facility for debit card purchases, these are based on one-to-one tie-ups between the banks and merchants. By putting a platform in between, Visa enables any bank that signs up for the service to access all the merchants that are on board. 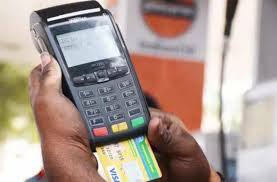 Similarly, merchants who offer this facility can do this for debit cards of all banks that have signed up on the platform through a simple application programming interface (API) integration. This is the first time that a payments network company is providing this facility. “The credit underwriting will be done by the banks. They will determine the eligibility of the cardholder and the tenure of credit,” said Ronta. Since all this happens within seconds, the customer will have a seamless experience while making an online purchase. This facility is available for all debit card issuers except customers of payments banks, which are barred from providing credit or overdraft facility. EMIs on a debit card will help banks increase their retail-lending portfolio without the use of additional resources for distribution. Currently, in the offline space, payments aggregators like Innovity and Pine Labs are tying up with shopkeepers to enrol them into the EMI facility. E-commerce companies like Flipkart and Amazon have also been offering this facility to customers of select banks with which they have a tie-up. “It is very difficult for one merchant to integrate all 75 issuers in India. At the same time, it is hard for an issuer to get across to all the 100 top e-commerce sites in India,” said Ronta. “We are enabling our platform for all our participating issuers. We are enabling scale and bringing in a consistent experience and, at the same time, removing all the operational complexity at the back end,” he added.